Pretty great, right? All in one shot. It still amazes me. 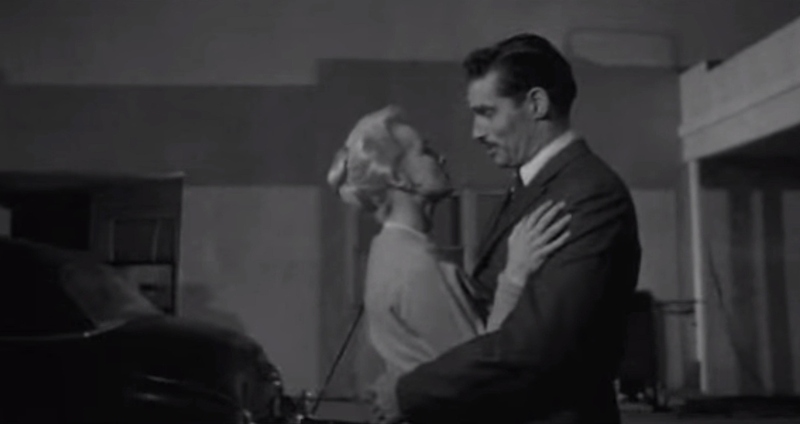 When talking about Touch of Evil, most discussions begin and end with these first three minutes. Much to my own disappointment, I don’t have much to add to that discussion that hasn’t already been said. However, I’d like to bring your attention something I’ve unearthed that, although time has not been that kind to it, it is still delightful. Below is the a film review of Touch of Evil by Howard Thompson (seems like a cool person and his reviews are amazing), published by the New York Times and top to bottom, it is hilarious. And nobody, and we mean nobody, will disagree. Please read all the way to “…a nice morsel like Miss Leigh.” Here’s your daily dose of old-timeyness. THANKS to Orson Welles, nobody, and we mean nobody, will nap during “Touch of Evil,” which opened yesterday at R. K. O. theatres. Just try. The credits come on, for instance, to a sleepy, steady rumba rhythm as a convertible quietly plies the main street of a Mexican border town. The car is rigged with dynamite. And so, as a yarns-pinning director, is the extremely corpulent Mr. Welles, who co-stars with Charlton Heston and Janet Leigh in this Universal release. Mr. Welles also adapted the novel by Whit Masterson called “Badge of Evil” (which would have been more like it), helping himself to the juicy role of a fanatical Texas cop who frames a Mexican youth for murder, and clashes with an indignant Mexican sleuth, Mr. Heston. In addition to battling Mr. Welles, a psychopath who runs the town, Mr. Heston has to fend off a vengeful narcotics gang menacing his young bride, Miss Leigh. Any other competent director might have culled a pretty good, well-acted melodrama from such material, with the suspense dwindling as justice begins to triumph (as happens here). Mr. Welles’ is an obvious but brilliant bag of tricks. Using a superlative camera (manned by Russell Metty) like a black-snake whip, he lashes the action right into the spectator’s eye. The careful groupings of the cast, the overlapping of the speeches and other stylized trade-marks of the director’s Mercury Players unit are here. But the tempo, at least in the first half, is plain mercurial, as befits a thriller. Where Mr. Welles soundly succeeds is in generating enough sinister electricity for three such yarns and in generally staging it like a wild, murky nightmare. Miss Leigh has the most blood-curdling time of all in two sequences, one involving a strangulation in a hotel room. The other—her siege by some young punks in an isolated motel—should make any viewer leery of border accommodations for a long time to come. Two questions—the first to Mr. Welles, who obviously savors his dominant, colorful role. Why would a villainous cop, having hoodwinked the taxpayers for some thirty years, suddenly buckle when a tourist calls his bluff? And why, Mr. Heston, pick the toughest little town in North America for a honeymoon with a nice morsel like Miss Leigh? TOUCH OF EVIL, scenario by Orson Welles, from a novel by Whit Masterson; directed by Mr. Welles; produced by Alfred Zugsmith for Universal-International. At R. K. O. theatres. Running time: ninety-five minutes.